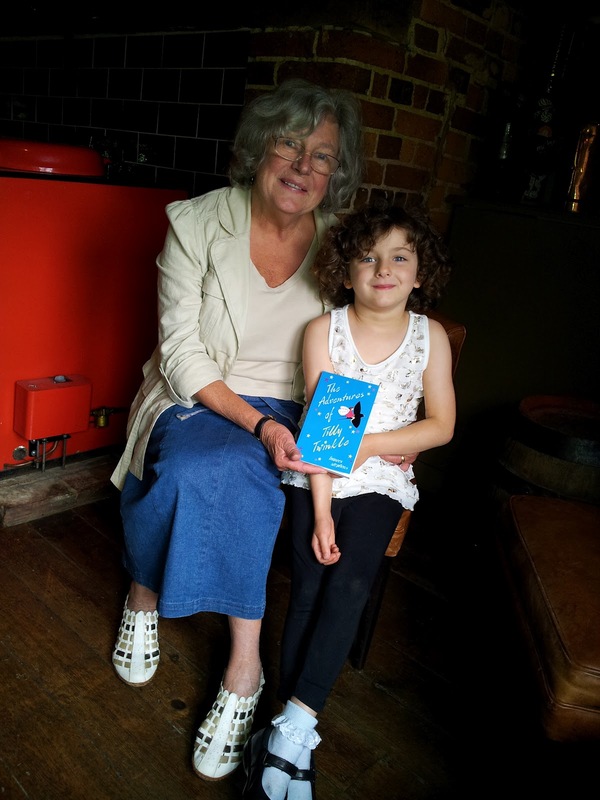 For me an historic moment, yesterday, when I handed my gorgeous granddaughter her own signed copy of the book I have dedicated to her. We took the whole family, that's her Mum and two older brothers, Thomas and Dylan, out to lunch at a local rustic pub. The intriguing red object on the left of the picture is a gleaming Aga, which is part of the decor in the pub's family room! significant quantities of her titles in our local bookshop and library. Every generation of 8 and 9 year olds discovers her and she'll probably never go out of print. I assume she's also now well kindled! I just have one further observation - also by way of being a confession. 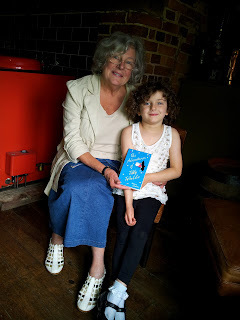 'The Adventures of Tilly Twinkle' was written for all those kids who just want to sit down with a cracking good read such as those Blyton delivered, and if I can satisfy them, I shall die a happy woman.